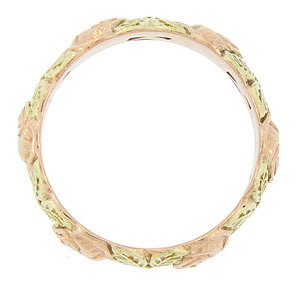 This romantic 14K red gold wedding band is a riot of full blooming roses interrupted by three leaved green gold leaves. 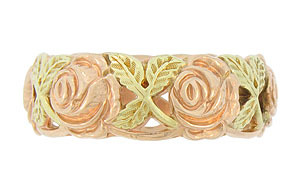 Exceptional detailed engraving gives added dimension to this spectacular wedding ring. 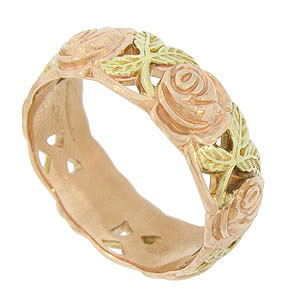 The sparkling antique style ring measures 8.44 mm in width. Size 11 3/4. We cannot re-size.